Transforming community through art, storytelling and dialogue. How to attend and connect! 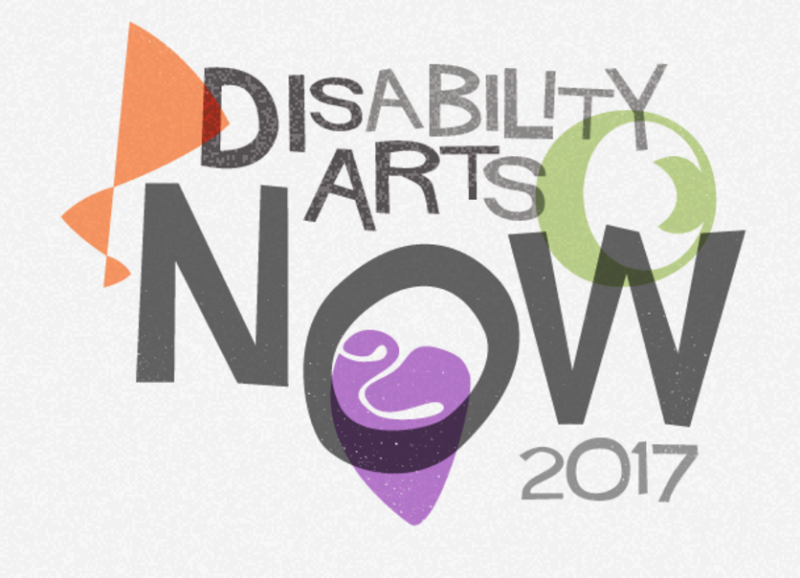 The full schedule of the Disability Arts Now! Symposium and Tickets can be found at disartfestival.org/schedule. Find more information about Art.Downtown at avenueforthearts.com/artdowntown/. Follow Avenue for the Arts on Facebook and visit the Art.Downtown Official Event Page. 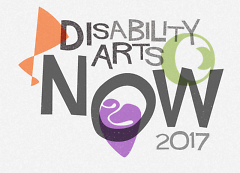 Launching this week, the three-year-old cultural organization DisArt, will be hosting a large symposium entitled, Disability Arts Now! 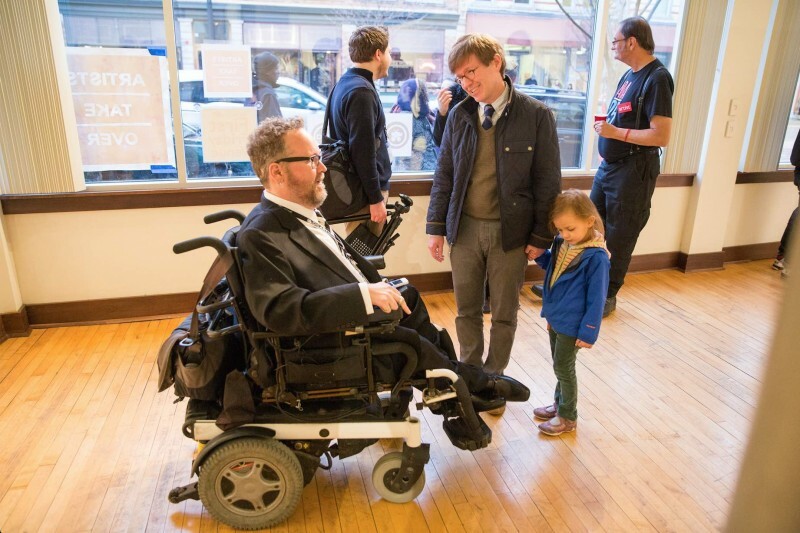 World renowned academics, artists, community organizers, designers and much more, will come together and consider the current state of Disability Arts and its relation to civic access and engagement. This three-day symposium will be located at ArtPrize Hub SoundStage and organizers are inviting all Grand Rapids community members to come together and supply a voice to the conversation. Cultural events that engage the community are important in pursuing and enacting necessary change within our city. One way that’s accomplished is through communication and art is one of the most effective modes of communication. “Art can allow us to gain an understanding beyond our own immediate experience, that is, to know the world through the perceptions of another,” says DisArt Executive Director, Chris Smit. The DisArt Symposium intends to showcase the story of disabled people in an honorific way while including many different forms of art. Terry Galloway is one artist that will be performing during the symposium. After graduating high school, Galloway who was diagnosed as deaf when she was nine was told by an advisor that “factory work would make a good job for the deaf.” Instead, she went on the receive degrees from the University of Texas and Columbia University. Even during her university studies, she was told by theater directors, that she would not be allowed on the performance stage because she was deaf. “So I thought to myself 'screw you! 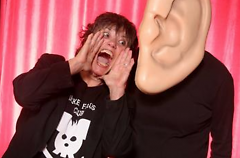 '” exclaims Galloway, who has now spent most of her life performing. Whether it is through solo performance, community theater, cabaret, or Shakespeare, Galloway constantly encourages engagement and storytelling through performance. Galloway expresses that the disabled community, “has a culture, that is vibrant, funny, irreverent, thinking, maybe even disgruntled and we can help to provide answers. We can articulate problems and talk about solutions.” As part of Disability Arts Now, Galloway will perform with guest dancer Kris Lenzo from 7:30 until 9 p.m. on April 7th. DisArt has been working with event production company KBO group and students from Kendall College of Art & Design to plan a successful accessible event. Together they have designed seating arrangements and production designs around the comfort of multiple types of people. The symposium will include an American Sign Language interpreter, as well as Live Captioning through “CART” (Communication Access Real-time Translation). By using CART, everything that is spoken, is typed and put on a large screen. To make this event even more accessible, everything will be live streamed, including an aggregation of Twitter and Instagram viewable to the audience. So, if people are watching or listening from home and have a question, they can chime right in. DisArt has built many strong collaborative partnerships over the years and one of those partners is the Avenue for the Arts program through Dwelling Place. Recently the two organizations teamed-up to release an informative video, entitled “Making Your Gallery Accessible,” which focuses on access and inclusion when designing an exhibition. In addition to expanding access through gallery design the final day of the Disability Arts Now! also takes place during the Avenue for the Arts Art.Downtown, on Saturday, April 8th from 12:00 p.m. - 9:00 p.m. and features the DisArt exhibition, The Shape of Self | Works by Riva Lehrer at the Kendall College of Art and Design Fed Gallery at 17 Pearl St. The closing reception of The 2017 DisArt Symposium, Disability Arts Now! will take place at 6 p.m. at the Fed Galleries and is free and open to the public. “One thing that we are doing is maintaining a level of accessibility in our city in hopes of setting the standard for other cities, and we are really starting to feel a difference in the climate of accessibility and inclusion,” Smit articulates. “Our goal is to make this place welcoming and to have some fun along the way.” The three-day Disability Arts Now! symposium will take place at the ArtPrize Hub SoundStage, at 41 Sheldon Blvd SE, downtown Grand Rapids. Tickets are now available to attend the keynote speaker series. The Avenue for the Arts is a neighborhood title for the South Division commercial corridor. We are residential, commercial and nonprofit groups working together in a creative community. We are residents in Heartside, and active participants in shaping change in our neighborhood. In 2005, we chose the Avenue for the Arts as a title to represent our commercial corridor and the projects and events that we create. Because the Avenue is powered by volunteers, guest writers create our Rapidian content. Special thanks to Learning Lab participant Ian Thompson for his contribution to this piece. Ian Thompson is a musician, educator and artist focusing on urbanization, arts and environmental justice. Thompson has degrees in music performance and Interdisciplinary studies.